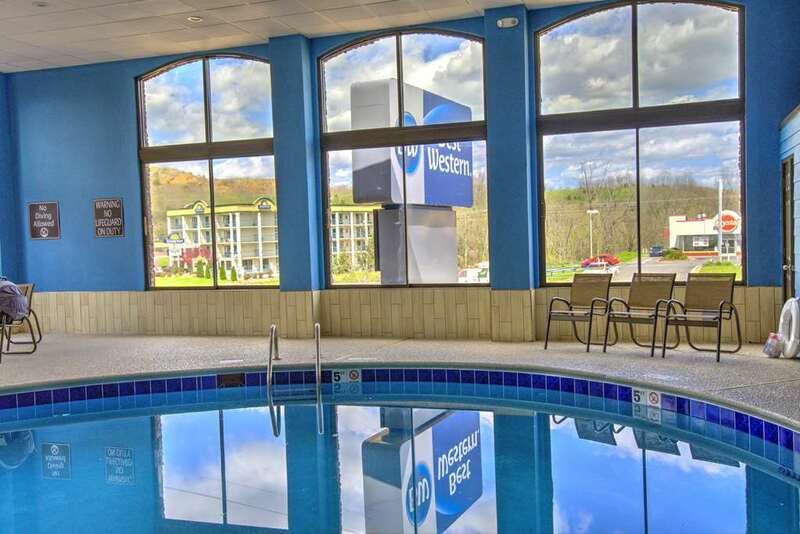 Enjoy a delightful stay at this Kodak hotel, just minutes away from the Tennessee Smokies Stadium, Bass Pro Shop , Smoky Mountain Knife Works , Wilderness at the Smokies, Sevierville, Pigeon Forge, Gatlinburg and much more! The Best Western Sevierville/Kodak Inn, is located just off I-40 at Exit 407, the exit for the Great Smoky Mountains National Park, Sevierville/Pigeon Forge and Gatlinburg. The entrance to the Great Smoky Mountains National Park is just 25 miles away. Our property offers an outdoor fire pit and seating area, indoor pool, free continental breakfast, fitness center and easy access to the interstate. We do not accept cash for payment. We apologize for the inconvenience. Pool - Indoor pool, heated, 5 foot depth, open 24 hours. We provide a chair lift for those who need help in or out of the pool. Our pool also gives great views from the large windows. Just outside the pool is a fire pit where you can warm up! Tennessee Smokies Stadium,0.3 mile(s) from Tennessee Smokies Stadium, Home of Tennessee Smokies, AA Affiliate of the Chicago Cubs.